A genre-bending love story by the award-winning author of the Double Helix books, Jade Kerrion. Every full-moon for a thousand years the humans of Aeternae Noctis have dreaded the arrival of the vampires who steal away their five year old children. Now it’s the turn of the child who has been prophesied to end the Eternal Night. Jaden Hunter, a young human warrior and the child’s half-brother, has been tasked to protect her. But despite his best efforts, he is overcome and taken along with his sister to the tower of the vampires. There, Jaden uncovers secrets that have been kept from humanity for millennia, secrets about the vampires and their demonic rulers, the Icrathari. Ashra, Queen of Aeternae Noctis, has protected the city and its secrets for thousands of years to uphold the vision of her dead lover, the Icrathari that built Aeterane Noctis, now has come to learn that his soul has been reborn. . . as Jaden Hunter. The future of the city and its people is now in the hands of a young human who has been taught only to hate the demons . . . who now finds himself falling in love with the very Queen he swore to destroy. The book is set on a post-apocalyptic Earth, in which the atmosphere has been destroyed by nuclear warfare and now is scorched on a daily basis by the sun. Aeternae Noctis is a domed city that travels the world west of sunrise, ever in the dark, kept aloft by massive turbine engines and protected from the demons that dwell in the dark places by the Icrathari and vampires. The Icrathari are likened to sucubi, beautiful in appearance, except for their bat-like wings, and with the power to ensnare any human with the briefest of kisses. The vampires are flightless but super-fast and super-strong. Despite the existence of high technology, the humans have been kept at an Iron Age level development to stop them from creating weapons that would destroy their fragile city. What makes Kerrion’s writing so compelling is the beautifully flawed characters that find themselves in unexpected relationships. When I started reading Eternal Night, I found myself missing Kerrion’s characters from the Double Helix books, but then started to pick out Kerrion’s signature styling on these new characters. The love/hate relationship between Ashra and Jaden is the central arc of the story and you soon realise that the future of the city lies in the balance. If Jaden gives up his humanity for Ashra, then he will lose the trust of his people and doom the city to civil war. If Jaden dies before he can forge a peace, no one else will be able to fill the breach. It is these kind of character level conflicts that make Kerrion’s writing so deliciously addictive. 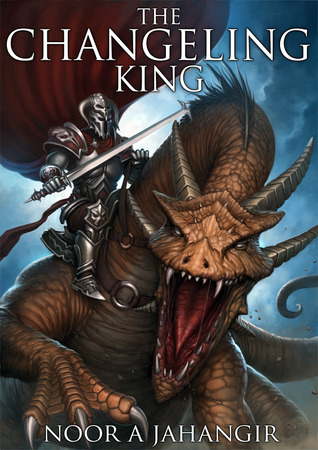 I still have a soft spot for the Double Helix books, but Eternal Night highlights again why Kerrion is an award-winning writer. If like me you are a fan of her previous work than this book is a must read. 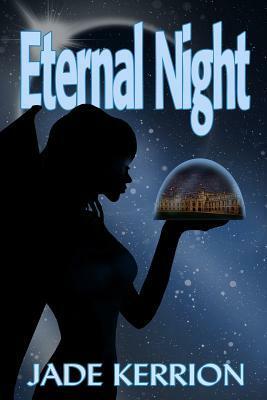 For those of you who are new to Kerrion’s writing, Eternal Night will only whet your appetite for more. So watch out for this book in early 2014.